Shiner Roofing, Siding and Windows is a full-service home improvement contractor that has proudly served the Washington, D.C., region since 1981. 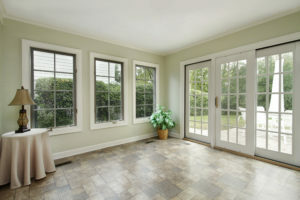 Among the countless projects we’ve completed over the decades are hundreds of patio doors installed professionally and quickly on homes throughout Northern Virginia and Maryland. In addition to professional installation of new patio doors, Shiner provides a wide range of home improvement services, such as roofing, window installation, and siding repair or installation. We are well-known throughout the capital region for exemplary workmanship and customer care. Shiner is licensed, bonded, and insured in the states of Virginia and Maryland and the District of Columbia. We also invite you to check out our reviews on Angie’s List and other consumer review websites before you make your decision about a hiring a home improvement contractor. For an estimate on your new patio doors, or to schedule a home improvement consultation in McLean, Alexandria, VA, Bethesda, MD, or elsewhere near Washington, D.C., contact Shiner today.